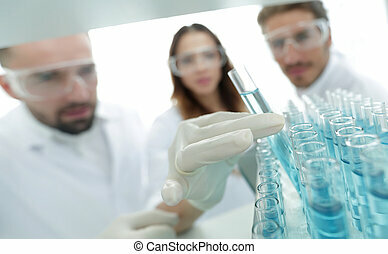 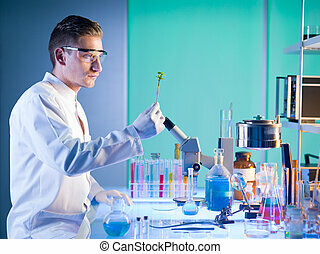 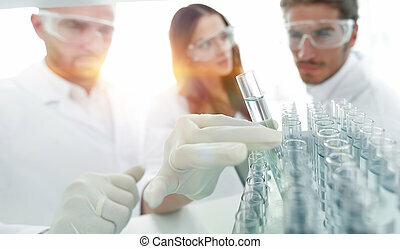 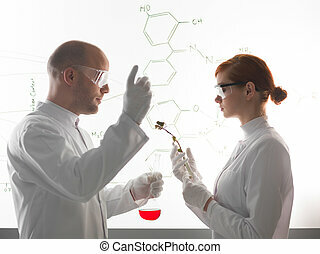 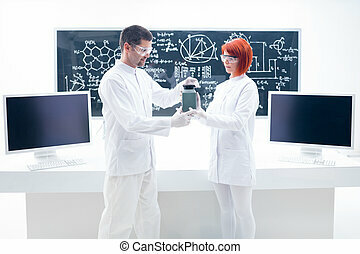 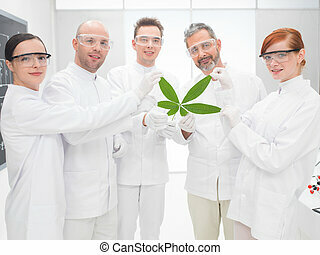 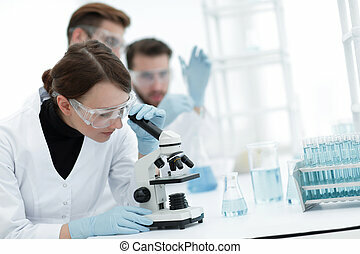 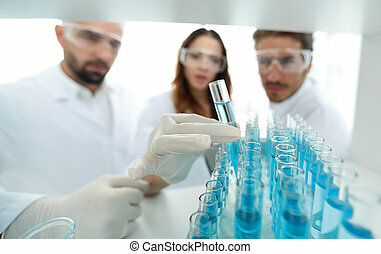 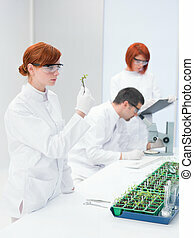 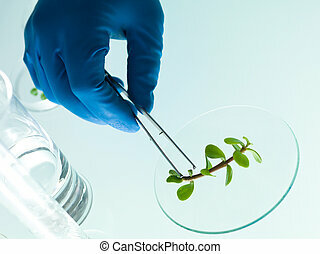 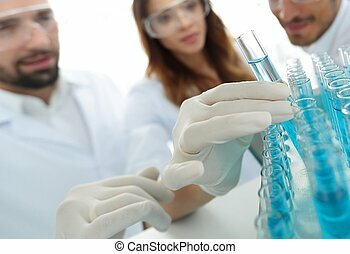 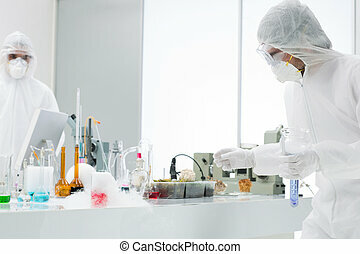 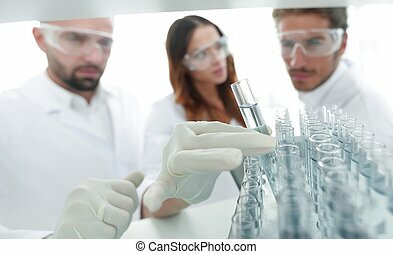 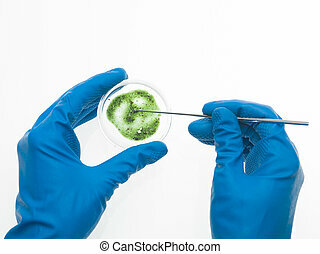 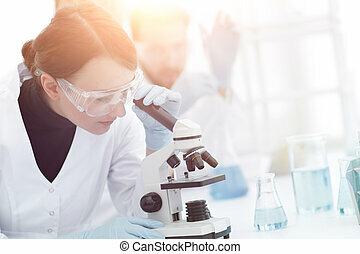 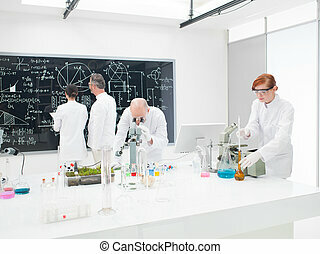 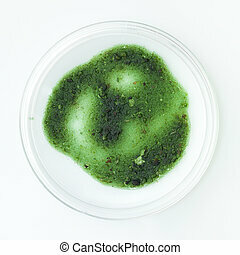 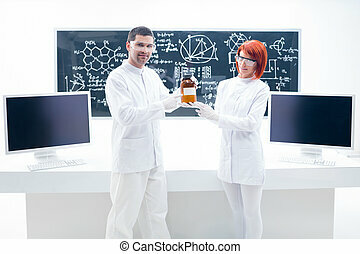 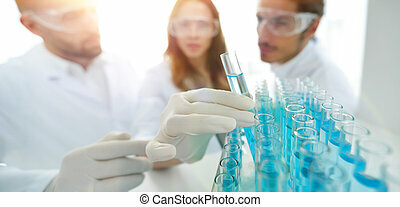 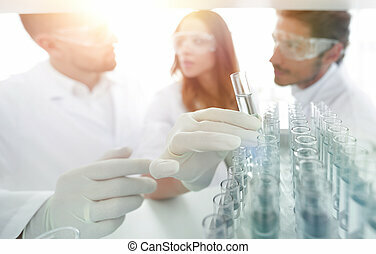 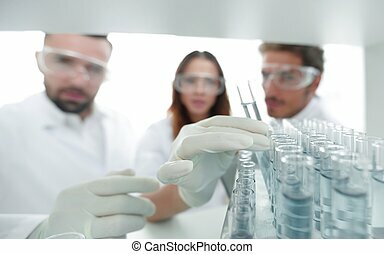 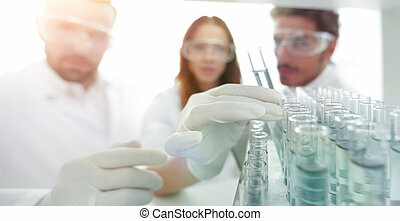 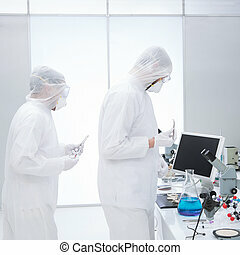 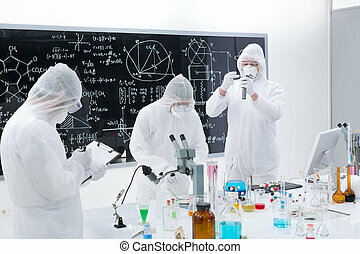 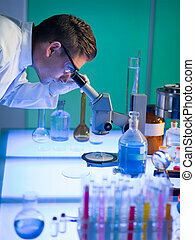 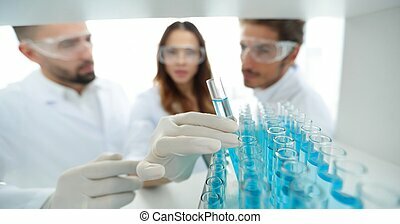 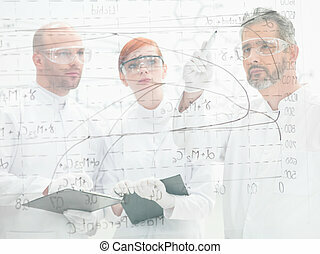 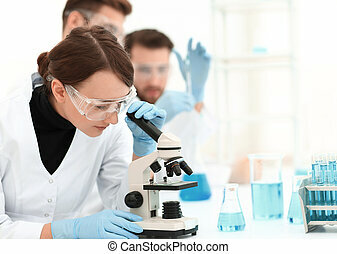 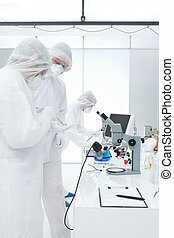 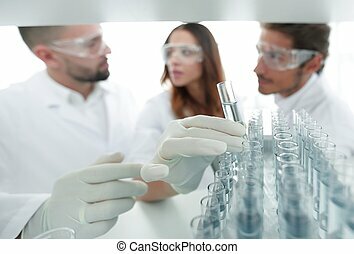 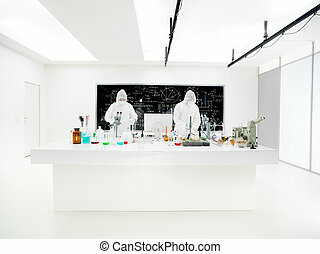 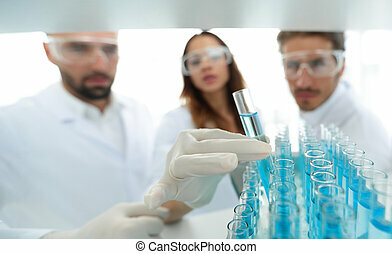 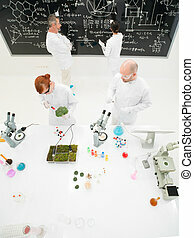 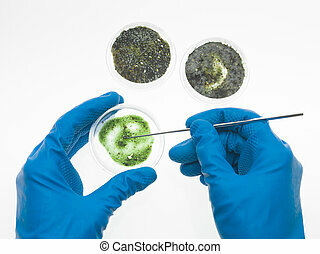 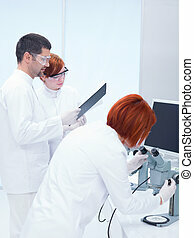 Pharmaceutical scientists studying a sample. 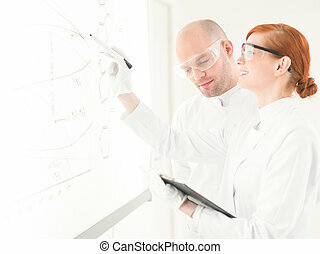 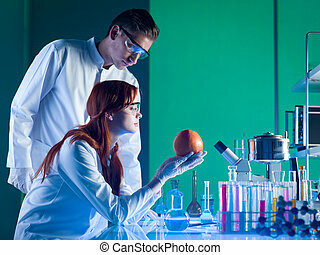 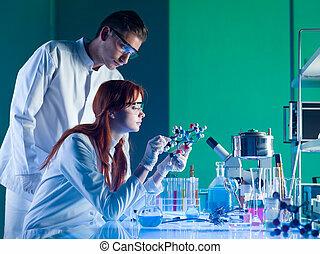 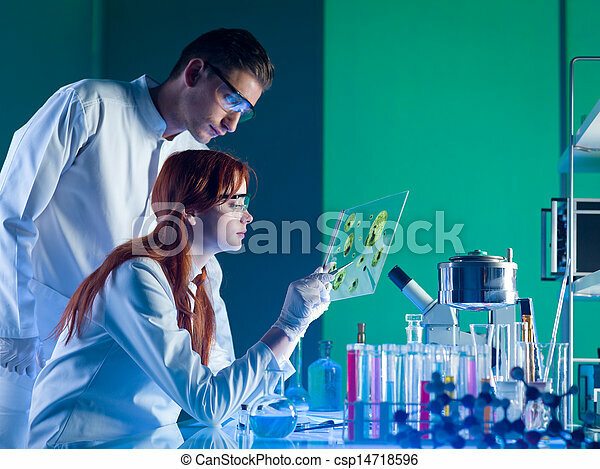 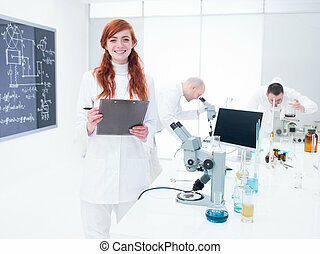 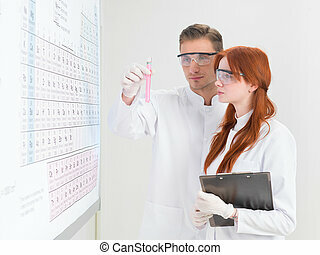 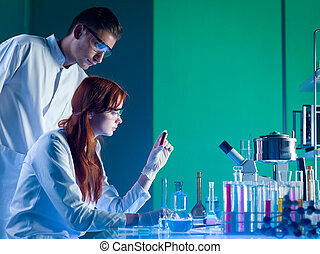 Side view of two young caucasian researchers studying a sample in a laboratory. 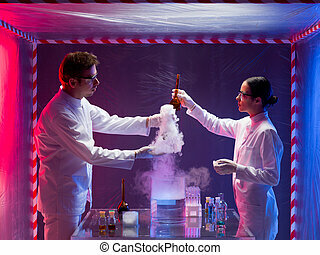 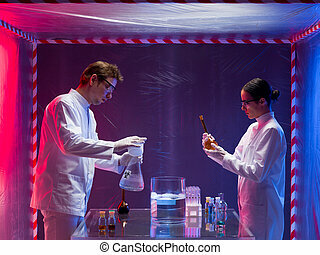 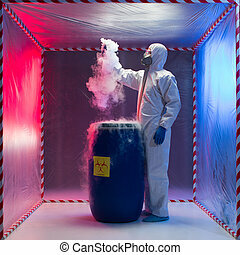 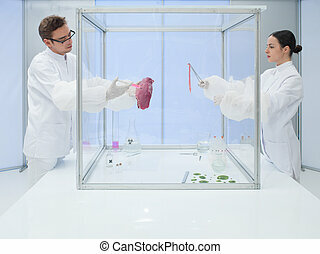 Photograph of a male and female scientists inside a biohazard protective space testing the toxic chemicals while the smoke coming out.